Half the plums and pit them. Cut in smaller pieces. 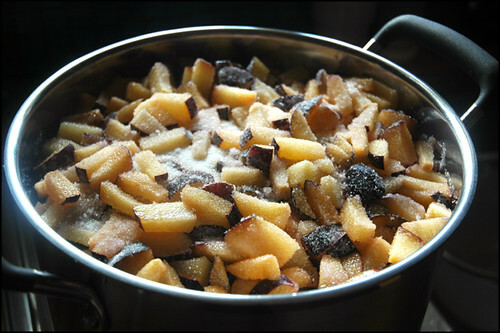 In a big pot start assembling a layer of plums then a layer of sugar. When you are done, go relax. Yeah, just put the lid on it and let it do its thing for couple of hours. Make your self a cup of coffee and go and daydream about all those great crapes you will eat with this jam. Whatever, scrape that one. 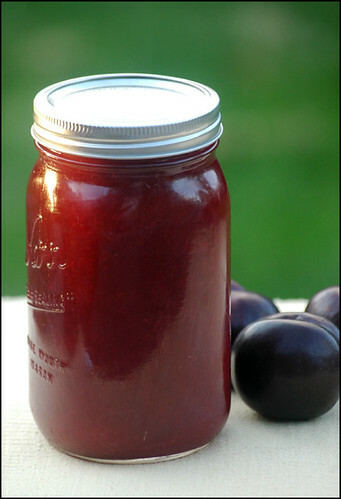 Just daydream how you will soon be eating this jarred miracle with a spoon! After couple of hours start cooking the jam. Medium heat, until it's the consistency you like. I like mine to have chunks in it so I don't let it fall apart completely. Ten minutes before it's done, add vanilla and spiced rum in. That simple! 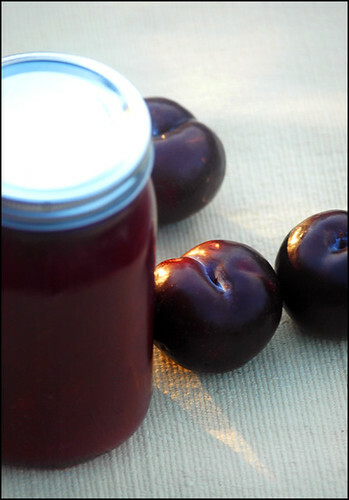 While the jam is cooking, prepare your lids and jars. Wash them thoroughly and then put them in the oven on the lowest setting to dry out like that. Handle them carefully once they are done. Hot, hot, hot! These make such an awesome gift for friends, I need to get some cute smaller jars and make another batch of this. Can't wait to decorate little labels and put pretty little bows on them. They will sure put smiles on some faces! Those jars look gorgeous! 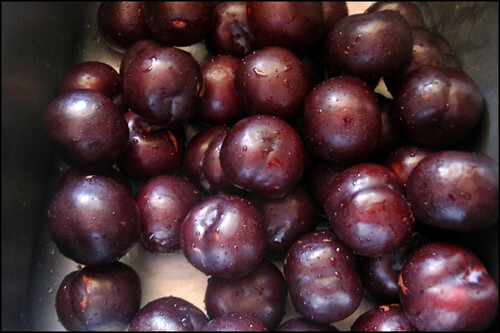 I recently discovered my love for plums, and I've been putting them in everything! I'm so excited to have found this recipe! I'm a terrible judge of volume/weight - how much/how many jars on average would you say this yields?